For me and my brother, helping families in need has been a lifelong endeavor. When we started FLO Cycling, it seemed only natural to add a charitable component to our business. We decided to create our own program called Bike for a Kid. The idea behind the program is simple: When we sell a set of our more expensive bike wheels, the extra money our customer spent is allocated toward the purchase of a bike and helmet for a child in need. Since launching Bike for a Kid, we’ve learned that even the simplest concepts can have dramatic impacts. This act of charity has created benefits for our business that span beyond tax breaks and positive publicity. There have been far more rewarding bonuses worth noting. Remember the feeling of getting your first bike? Many families in the United States don’t have enough money to afford food for their kids, let alone toys or sporting equipment. Watching a child realize that he now has his very own bike is an incredibly special moment. Since launching Bike for a Kid, I’ve been able to work with a lot of great organizations that go even further to help underprivileged children. In some cases, the only time these kids eat a square meal is when they’re at school. One organization in particular, Three Square, strives to remedy this by stuffing kids’ backpacks full of food when they leave school for the weekend. You should see how these kids react to having enough food to last until Monday. The smiles that I see when doing charitable work are more rewarding than any business transaction I’ve ever been a part of. The day-to-day grind of running a business makes it easy to forget how much good there is in the world. It often seems like people are only out to serve themselves. Getting stuck in this cynical mindset can hinder your ability to run a successful company and impact the way you communicate with customers. Once you become involved with a charity, you’ll gravitate toward a healthier mindset of seeing the best in people. 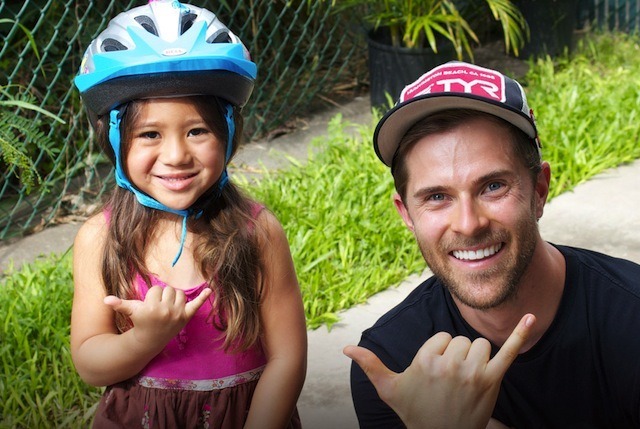 Bike for a Kid has shown us how contagious the spirit of giving can be. Customers get excited about spending more money when they know it goes toward a good cause. Local athletes have volunteered their time to help run our company’s events. Competing businesses have offered their time and support as well. I’m sure that you’re fully aware of how cutthroat the world of business can be. Involving your company in a charity program can change the entire tone of your industry. It’s been amazing to see how eager other businesses are to work alongside my company when they see the charitable work we do. Charity can transform competition into collaboration. I have always believed that it’s better to support your competitors than to try to destroy them, and I am happy to see that many companies in my industry feel the same way. Adding a charitable organization to your full plate will only make you busier. If you aren’t passionate about the program, don’t start it. You’ll feel overworked, and you won’t put enough energy into it. This will give the impression that you launched a charity for all the wrong reasons. Linking with existing organizations will make things much easier. As I mentioned earlier, once word gets out that you’ve launched a charitable initiative, businesses will flock to associate themselves with you and lend a helping hand. Fundraising for any cause is no easy task. You probably learned this when launching your business. It would be great if you could raise millions and millions of dollars overnight to help those in need, but the process is generally much slower than that. Perhaps you can begin your road to charity by volunteering at your local Boys & Girls Club. Starting small could lead you to bigger ideas. Just keep reminding yourself that every little bit helps — the fact that you’re being of any service is what’s important. In the end, getting involved in charity has benefits that reach far and wide. Not only are you helping those in need, but you’re also helping your business, getting to see the best in others, and ultimately feeling better about your life and the world as a whole. But remember: It’s not always about changing the whole world. Sometimes, it’s just about making one kid smile.